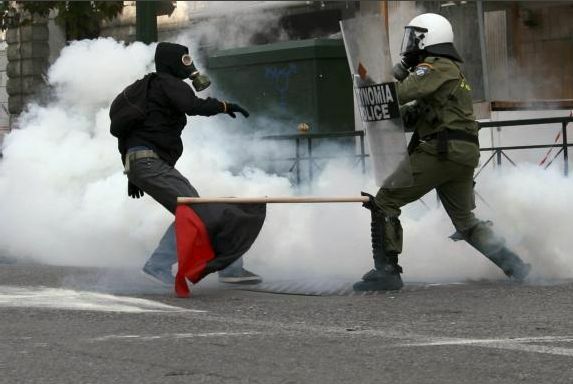 A year after 15-year old student Alexandros Grigoropoulos was shot and killed by police, the streets of Athens are again blanketed by tear gas. 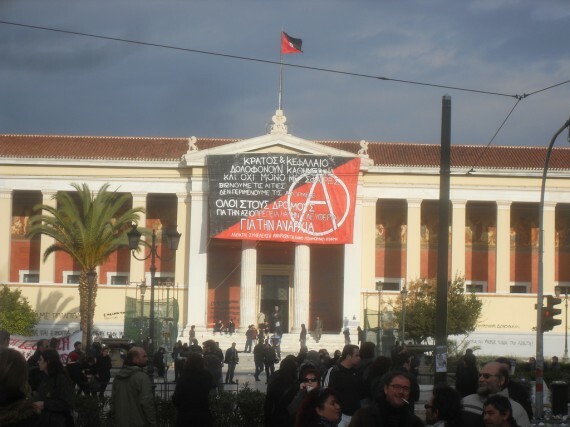 Nearly a thousand people have been detained by Greek authorities, and schools have been occupied by anarchists in protest of the violation of academic asylum. Protests both peaceful and violent have been taking place across the city over the past few days, and no immediate end is in sight. 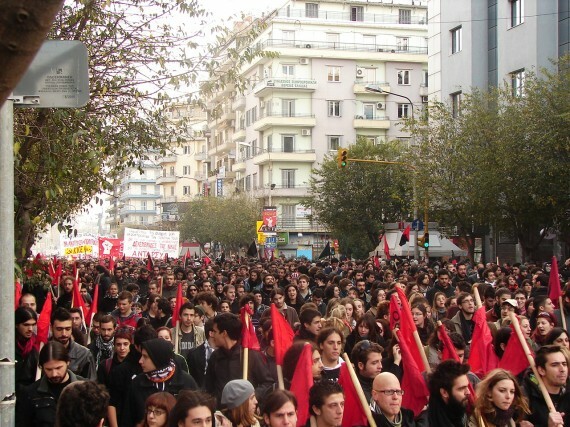 Marches against state terror unleashed in the last few days against the movement took place in Athens and Salonica on Tuesday 8/12 amidst government lies and bragging of its ability to detain more than 800 citizens out of which 13 have been charged during the marches in memory of Alexandros Grigoropoulos. In Athens the protest march called at Propylea at 19:00 found the university asylum grounds once again blocked by long triple chains of riot cops in utter breach of the 16th article of the constitution.